Motorcycles are now becoming popular in the Black communities and they have long been a popular form of transport globally and will continue to be so for years to come. They offer many advantages over cars. Examples include low running costs and, of course, their ability to weave through traffic! Most people that ride motorcycles are responsible owners. But, some become complacent as time goes on. They start to take risks and even begin to feel invincible. As you can appreciate, those people are at a higher risk of injuring themselves or others. Yes, I know you will have learned all about motoring rules and laws when you got your driver's license. But, it's a good idea to refresh your knowledge every so often. Consider giving yourself some "mock" theory tests to brush up on what you know. Such an approach will achieve two things. First of all, you'll lower the likelihood of getting a ticket for a traffic violation. And, second, you'll know if someone else is doing something wrong on the road. The latter is useful if you have an accident with another road user. Of course, it makes sense to hire a motorcycle accident lawyer in those cases. But, at least you won't have any doubt over who was to blame for your accident. Some individuals think it's okay to wear nothing but shorts and a T-shirt on motorcycles! You don't need me to tell you what a stupid idea that is! You will no doubt be aware of the protective clothing you need to wear on the road. But, do you need to refresh your stock of riding gear? Be sure to check that the clothes, boots and helmets you wear are still effective. Retire anything that is old and worn, and replace them with newer and stronger items. Yes, you could carry out some DIY repairs to your motorcycle. But, if they affect the safety or stability of your bike, stop! Instead, you should only let a motorbike mechanic work on your pride and joy. Especially when it comes to things like brakes, wheels and tires. 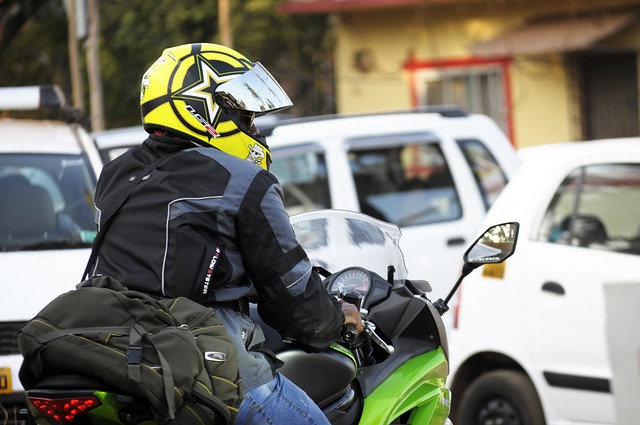 You should also ensure that your motorcycle gets serviced as per the manufacturer's schedule. That way, you won't have to worry about riding a defective motorcycle. My final tip for today is only to stick with machines that you feel comfortable riding. There's no point riding a superbike if you're only used to riding a touring model! If you're new to riding motorcycles, it's crucial to first build your confidence on the road. That's why car drivers start out with small hatchbacks instead of V8 muscle cars, for example! I hope you have found today's post useful. Feel free to share a link to it with your friends if you think they'll like it too. Thanks for reading it!